This post was sponsored by JORD Wood Watches. I received a watch to facilitate this post, however all opinions are my own. I remember my high school graduation. Class of 2001. The memories are a little foggy since 15 years have passed, but there are things I remember vividly: my family cheering in the stands as I walked across the stage at commencement, the senior all night lock-in party at the school after the ceremony, and my graduation party where I was loaded up with gifts for my future dorm room. I did get one gift I will always remember, and that was a delicate gold watch. I don’t remember who gave it to me, and unfortunately it was lost (or perhaps stolen) in my dorm room within a year, but I loved that watch. It went with every outfit. I was so sad when it got lost, and since then I haven’t owned another watch. 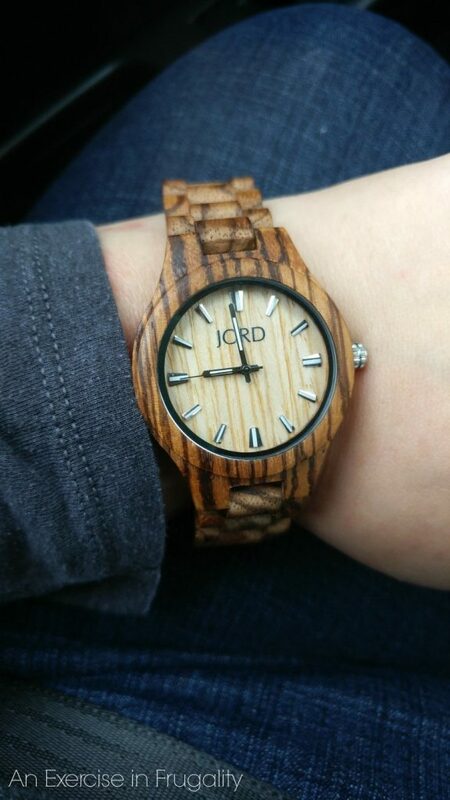 When I was contacted by JORD to review one of their wood watches, I was intrigued. I had seen them before, though never in person and I had never worn one. Since its been 15 years since the last time I owned a watch, I was hesitant but then I remembered that watches are a favorite graduation gift (and have been for many years) so I figured now would be a great time to give watches another try! I received my watch (which was already custom sized by the lovely folks at JORD to perfectly fit my wrist) in a handsome wooden keepsake box. Inside the box, there was a warranty card, a cute display pillow and a cleaning cloth. I chose the Fieldcrest series in Zebrawood and Maple. 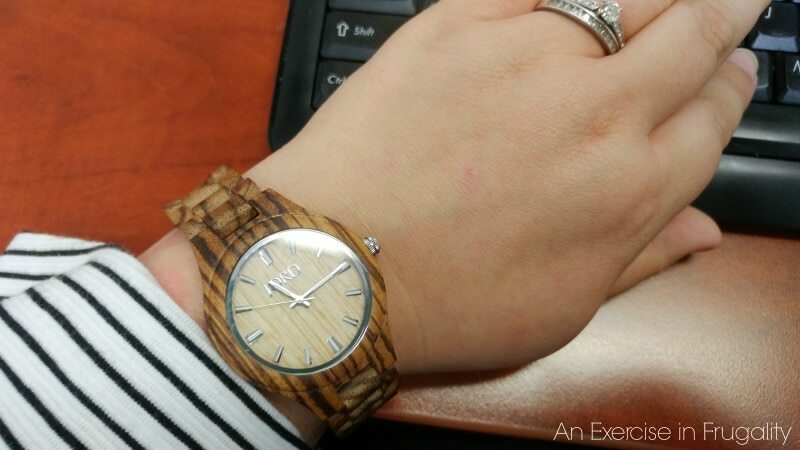 The gorgeous wood grain is a timeless look that goes with just about any outfit. They also have some gorgeous watches with turquoise and rose gold that are super trendy right now! 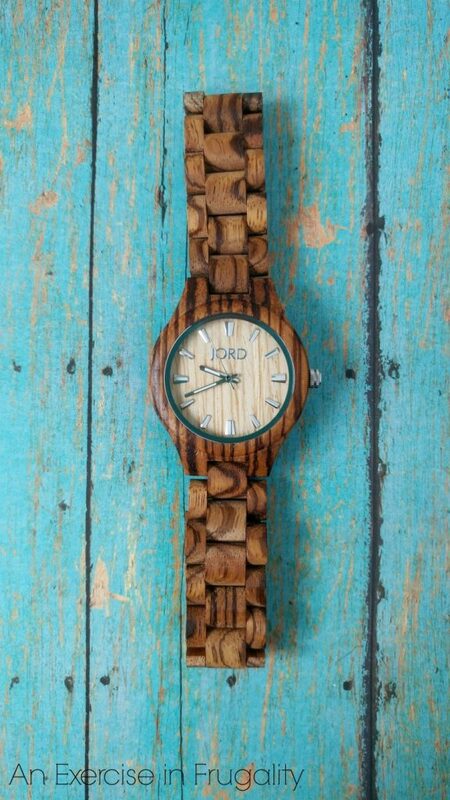 I think the Cora series Zebrawood and Turquoise is my absolute favorite, its SO gorgeous! With men’s and women’s styles (and many that are unisex) they really have something for everyone’s style. 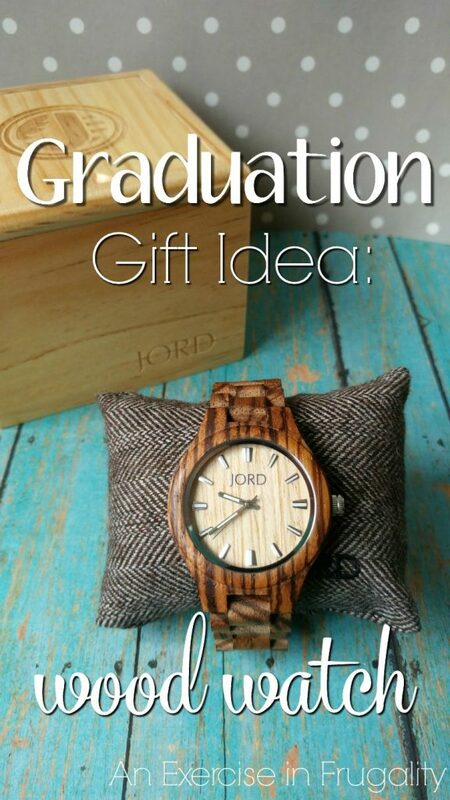 Its a great graduation gift idea, and any grad would love to get the gift of time (see what I did there?). Since I think these would make such a great graduation gift, I was excited to work with JORD and thrilled that they offered to sponsor a giveaway for my readers! The winner gets a $75 gift card to use towards the JORD watch of their choice. Even if you don’t win, everyone else who enters will receive a $20 JORD gift card that can be applied to any JORD watch of their choosing as a thank you for entering! You have until 7/4 to enter, and the winner’s code expires 1 month after the ending date of the giveaway. All gift codes will be e-vouchers sent by JORD via email so watch your inbox! 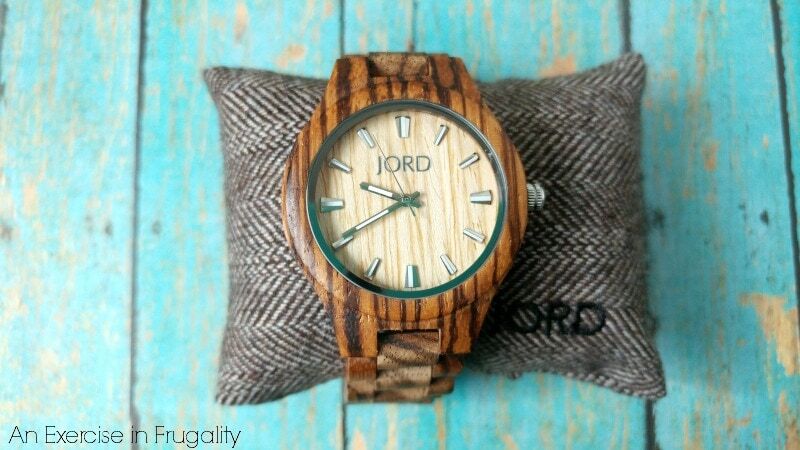 Which JORD Wood Watch style is your favorite? My husband has a Jord watch and it’s amazing. The quality is off the charts and it’s just plain gorgeous. I have only had mine a few weeks, but I can see they are very well made. Glad to hear your husband loves his! 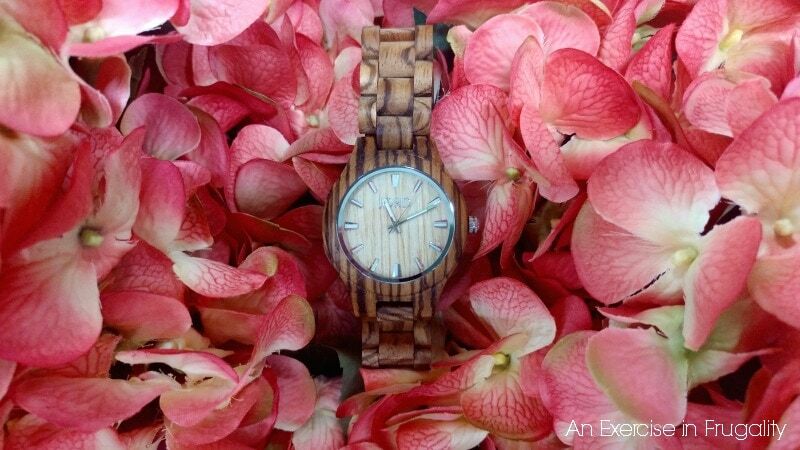 My husband is a woodworker, so he would love these watches. Now that would make a cool gift for him, I bet he would enjoy it especially with all the different exotic looking wood they use, plus each piece is unique based on the grain of the wood used. I bet he would love one! My niece just graduated high school. I don’t know if she wears watches but I think she’d totally love the unique material and design. I like the one you picked out. Really cool! I’ve heard so many wonderful things about JORD watches, but have never had the pleasure of wearing one on my wrist. If I could have any of them I think I’d choose the turquoise – so pretty. Isn’t it stunning? I love that one too! The Zebrawood and turquoise is my absolute fave! I also like the Dark Sandalwood and Emerald. So pretty! I just love them. They are unique pieces to begin with, then no two are identical because the wood grain has slight variations in pattern. Such gorgeous one of a kind pieces! I have a Jord watch and just love it. People are always amazed that it made out of wood. A real conversation piece! They are really unique. I have been asked about mine a bunch already and I have only had it a few weeks! They make such sturdy pieces. My FIL has had one for a couple of years and he loves it. Oh, I am so glad to hear they hold up well. I imagined they would based on the quality and craftsmanship but its nice to hear from someone who has had one a while! What a beautiful watch! I love the unique wood design! What a beautiful watch! I’m not a watch person, but I would wear something like this!! Thanks for the giveaway too! Their watches ate do elegant. My husband has one, nicely made too! I love how unique that watch is, and very stylish as well! Such a great idea for a gift too! That would make a snazzy graduation gift. I like that idea and watches are popular now!